3/11/19: We currently have a waitlist for full time enrollment for the upcoming 19-20 school year (all grades K-12). Please submit the Elementary Enrollment Request to Kenosha eSchool to be added to the waitlist. 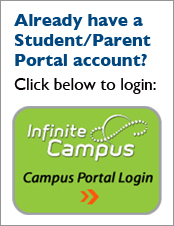 To create a New Student Account, click here. Once you are assigned a Login and Password, be sure to enter the account to make sure it is working. Print the Course Request Form and get the required signatures. Mail, fax, or deliver the Course Request Form to our eSchool office. Once we receive your Course Request Form, you will be enrolled in Orientation during the next available time, and a notification will go to the email address listed in your eSchool student account. ***You must successfully complete Orientation before you can be enrolled with eSchool (full or part time). Part Time Students: Once you receive notification of your eSchool course start date, please complete the Part Time eSchool Confirmation Form and return it to your counselor to make any schedule changes. Students who have already created an online account can submit the signed Course Request Form . They do not need to create a new online account.